Ultra high performance 1/10, 1/8 scale hard case LiPo battery pack and saddle pack is launched. 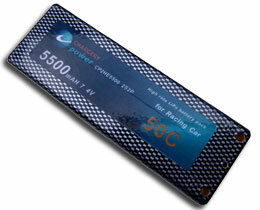 25C, 35C, 50C, and 2200-5800mAh capacity is avaiable. 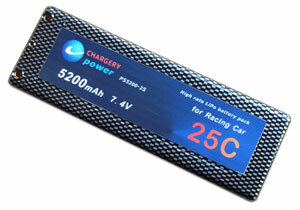 CHARGERY Racing car battery is approved by ROAR. Lower impedance ensure 100C maximal burst discharge. 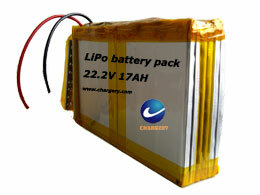 Chargery LiPo battery pack can be charged at up to 6C, 2C-3C is recommended. And longer cycle life up to over 200. 5.0 mOhm typical at the terminals! Maintains 3.7V+ ~ 18.5V+ flat platform discharge performance under typical racing loads, for consistent power and precise control. Chargery "Normal Battery" refers to the li-ion battery or Lithium Polymer battery with 3.6V//3.7V or batteries in series and discharge rate no more than 1C. it is applied widely to almost all consumer devices and communication handsets, include mobile, mp3,mp4,PDA, smart phone, cordless, camcorder , camera, and other portable electronic devices, such as portable DVD and notebook PC. 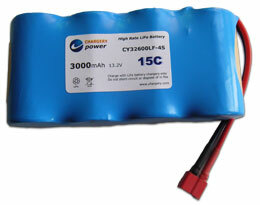 The Normal Battery branded "Chargery" is designed and inspected specially for the demands of customer. 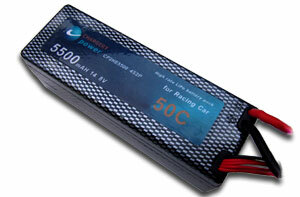 The battery pack consist of 3 parts, Li-ion or LiPo cell(s), PCM, and plastic case. Cell is tested strictly before assembling to meet the safe requirements of CHARGERY and customers. The PCM is designed and manufactured specially to protect the cell from over charge, over discharge ,over current and short circuit . For more information of the product, please click the Normal Li-ion and Lithium Polymer to enter into the battery world. . Some electric devices have to be driven with very large current, such as EV, R/C airplane, helicopters, cars and boats, and electric tools etc. .
CHARGERY High Rate Battery by is mainly applied to R/C model, EV and electric tools. Our LiFe battery could even discharge at 15C, the maximal capacity for single cell is 4.5AH, The type of battery pack can be charged at up to 1.5C. while Chargery LiPo battery's discharge rate is 10C, 15C, 20C, 25C, 33C even 40C , our LiPo battery pack can be charged at up to 4C. Tthe battery capacity even reach 9600mAh, and the voltage is from 7.4V( 2 CELLS in series) to 42V( 10 CELLS in series), especially the battery size can be customized upon your demands. So tell us your requirements, we will try our best to meet you, even give you a surprise of the low price. To get the product specification, please click the High Rate Li-ion Battery, High Rate LiFe Battery and Lithium Polymer battery. The power system is designed specially for electric vehicle, electric scooter,golf car, wheel chair including Li-ion or LiPo battery pack, BMS(Battery Management System) and professional charger. BMS protects the battery pack from over charge, over discharge,over current and short circuit. The newest product has been built in the balance function, so the PCM can detect the voltage of each cell in the pack and balance the battery. The charger fitted with the battery is designed specially, not only compatible with the BMS, but also preventing the battery from over charge. Click the Li-ion battery and Lithium Polymer power system to acquire more information.